Four months old is a tough age to photograph! Baby isn't sitting up on their own yet, so we have to get creative and really get down on their level. Here are some highlights from a session I did with a little one in their family home! I love incorporating little details from every day life like this elephant! This is totally something mom might save to give him later in life, and having this photo will warm their hearts. Such a handsome little man! Look at that darling bow tie. 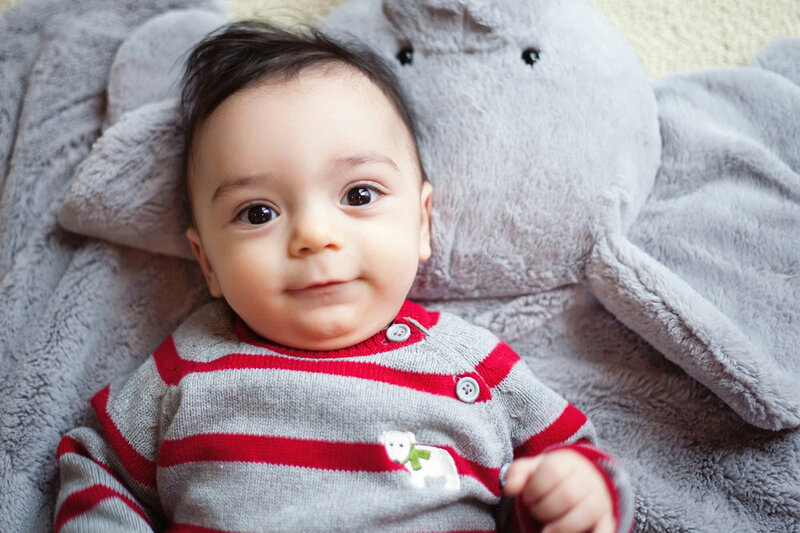 Source: A 4-month-old's portrait session at home in Cleveland, Ohio.